Annually on May 17, the International Day Against Homophobia and Transphobia (IDAHOT) is celebrated. The Gay Alliance Ukraine in Krivoy Rog noted IDAHOT creatively: activists and activists conducted a social experiment to demonstrate how important it is in Ukraine to raise issues of inadmissibility of homophobia and transphobia, and how great the difference between the perception of the LGBT community by Europeans and Ukrainians. 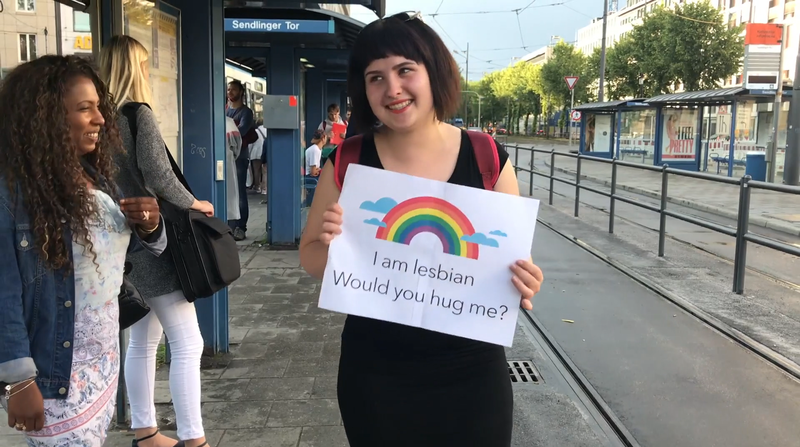 Queer-studio captured the readiness of passers-by in Munich and in Krivoy Rog to embrace the girl who holds the poster “I’m a lesbian. Will you hug me?”. The results of the experiment of Krivoy Rog activists are in the video. Recall, in late July, Krivoy Rog expects another test for tolerance: the city will host the first pride-festival, which will end with a human rights procession in support of the LGBT community.